Home improvement is a $200 billion per year industry. In fact, a recent HomeAdvisor post states that approximately 70 percent of homeowners have hired a contractor home repair. This same post also points out that more than one-third of homeowners today have a fear of fraud when hiring a contractor. These statistics are distressing. And, they don’t seem to be improving. According to the Federal Trade Commission, Americans lost $1.4 Billion to fraud and scams in 2012. 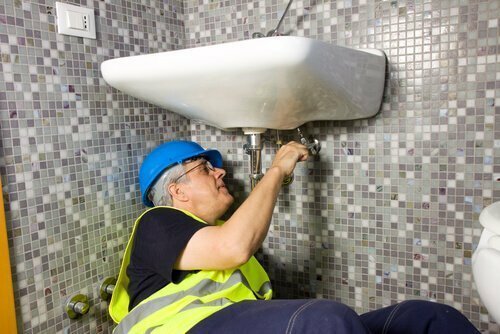 The first point to understand is that a good remodeling contractor will truly do their best to prevent bad things from happening. The key is to choose someone who has a long track record in your area, and that has a good reputation for performing top-quality work. While word-of-mouth referrals are the most common way to find a home remodeler, other great sources for leads can be via relatives, friends, neighbors and colleagues. Trust your instincts. If you’ve talked with several contractors and have numerous estimates, you’ve got a big decision to make. While it might be tempting to go with the cheapest option, consider other factors that will play a part in the project. Choose the company that truly understands your needs, can address your concerns, be a trusted advisor to you if something goes wrong, and will work with you collaboratively, side-by-side. Always check references. If you want to get the scoop on whether a contractor is the right fit for your home remodeling project, make it a point to contact previous customers, asking about the contractor’s work quality and reliability. And if a remodeling contractor does not offer references, ask for them anyway. Our team of professionals at Republic West Remodeling has developed, through years of experience and a passion for excellence, a custom remodeling process that strives to deliver a caring and respectful experience to clients. Be compliant. When it comes to local building code and permit requirements, hiring a local professional who works in the community can help. These requirements can vary in each jurisdiction. At Republic West Remodeling, our knowledgeable, experienced team members use an extensive planning process, factoring in these requirements, before execution. Then, one of our architects with extensive residential remodeling experience takes the handoff from the sales/design team and plans out every possible detail in preparation for your remodeling project. Do your homework. Many states require remodeling contractors to be licensed, bonded and insured. Ask your area-licensing agency to confirm that the contractor you are interested in hiring meets these requirements. If you are remodeling a house in Scottsdale, schedule your free home remodeling consultation today. Contact Republic West Remodeling for the highest quality luxury whole home remodeling. We proudly serve Scottsdale, Phoenix and the Phoenix Metro area.